Cook as directed and then let your mind go!!! Quinoa looks like a grain but is actually a seed but can be prepared as you would whole grains like rice or barley. But the beauty of this grain is that it has the highest protein content than any other grain. It is gluten-free AND cholesterol free!! Hell, you can even eat it for breakfast, like oatmeal!!! You can make salads, side dishes and add just about everything but the kitchen sink to it. It is YOUR pallet to do whatever you want! 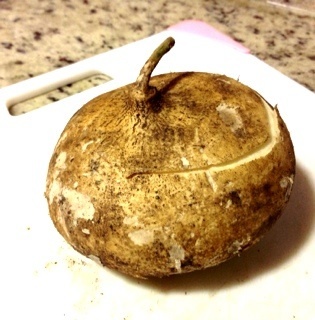 Here I used it as a side dish…. 1 c cooked Quinoa (I cook mine in a rice cooker) but in a saucepan with the ratio of 1 c Quinoa to 2 c liquid…water or chicken broth. Now, just add “color”. Red, Yellow, Orange Peppers, red onion, green onions..leftover chicken, left over brussel sprouts, panchetta, toasted almonds, water chestnuts for crunch…or apples…raisins or cranraisins…cilantro..tomatoes…the choice is yours!!!! 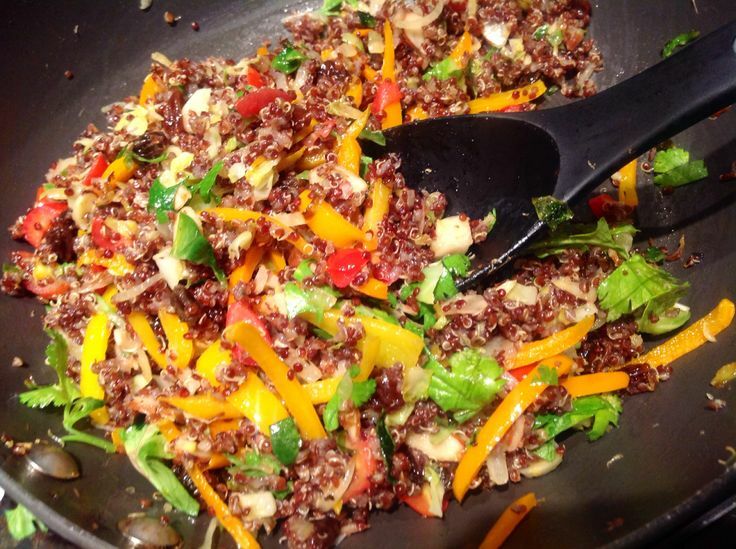 Whatever I am going to add, I saute in a pan with EVOO for about 2-3 mins and then I add to the cooked Quinoa. Season with S & P…and anything else your heart desires!!! I mean, this is sooooo darn easy and yet, so darn good and what a great source of protein!! 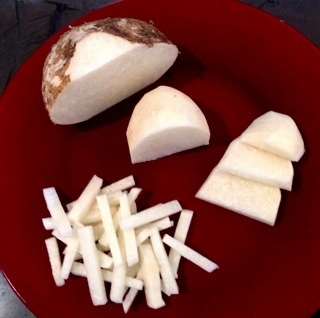 Jicama is a root vegetable that looks like a potato and taste like an apple!!! 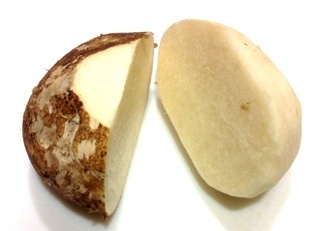 It is used, primarily, in Mexican recipes, salads or as a side dish. 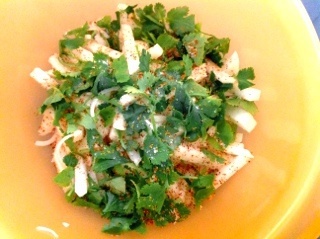 I used it as a simple side dish…with “simple” being the active word!! 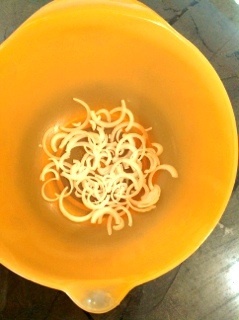 Clean, cut off the ends, cut in half and peel. Take out of fridge, stir and plate!! VOILA!!! Mushrooms are one of my VERY favorites but I always wondered how they cooked them so well in restaurants, especially with steaks or as a side dish!! The answer is “PATIENCE”!!! 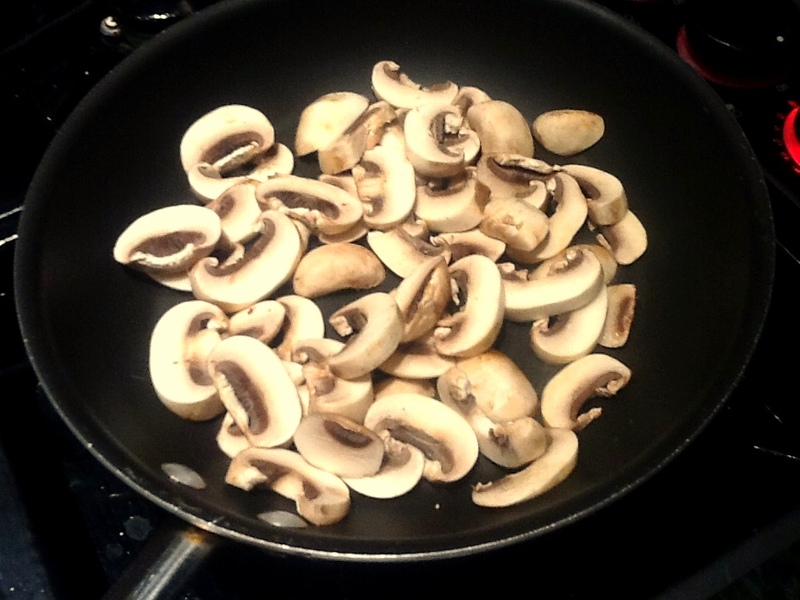 Mushrooms are primarily water! 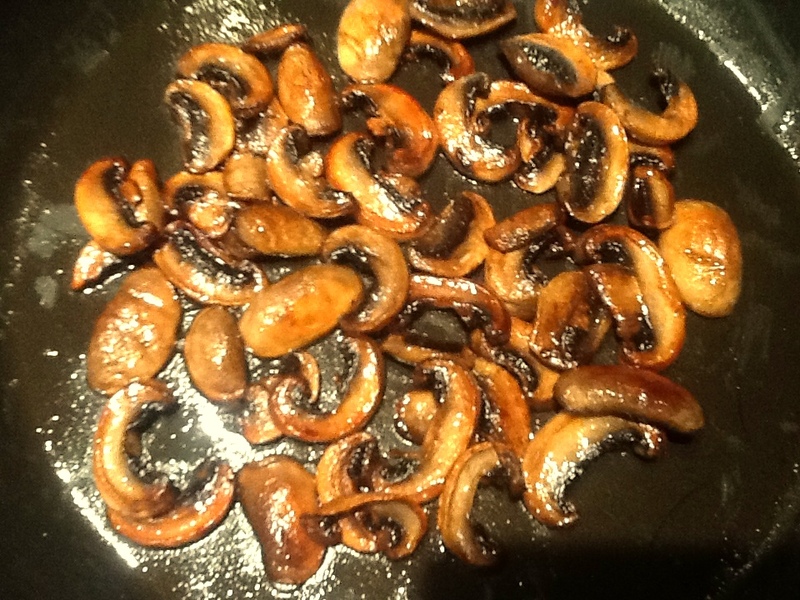 Don’t cover them, spread them out in the pan, let the water evaporate then watch them brown. Be PATIENT….hahahaha…it will be worth it! Set a heavy-bottomed large skillet oven medium heat. 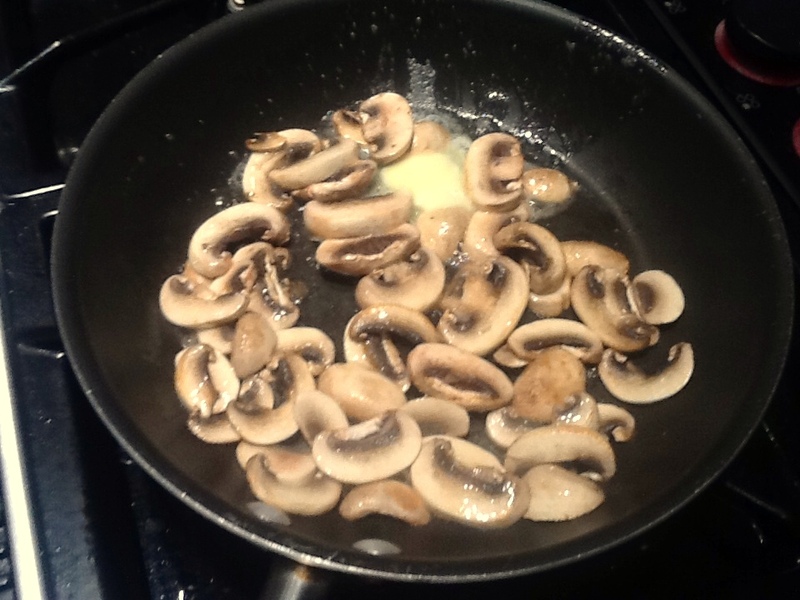 Let them cook over a medium/high heat, stirring occasionally, so not to burn but until juices evaporate. About 5-7 mins. 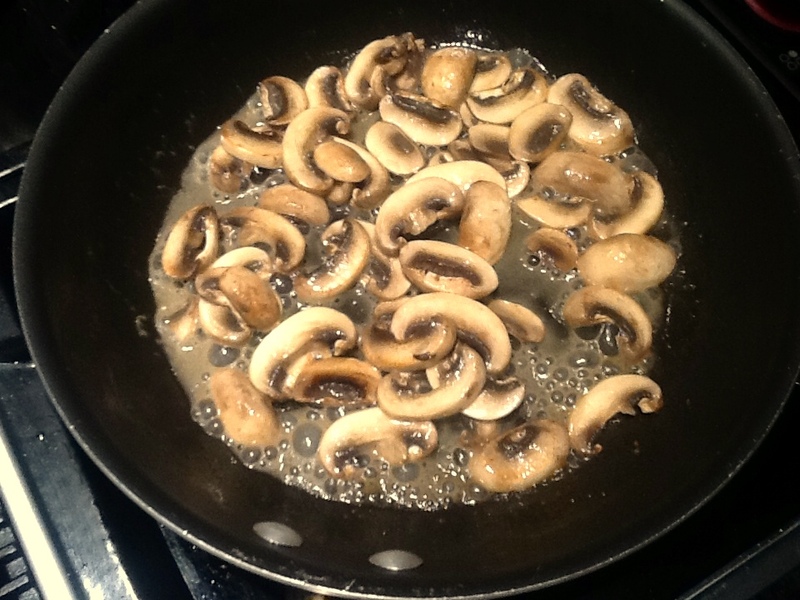 Turn down the heat to medium, and cook stirring occasionally until mushrooms are nicely browned. Taste and add more salt if necessary. 10 mins or so. Then serve and listen to the ooooo’s & aaahhhhhhh’s!!!! The BEST beans to bring to a Bar-B-Que!!! 1. In a 10-12 in skillet, cook the bacon till it is browned but NOT crispy and remove to paper towel. Then chop and put aside but leave bacon grease in skillet. 2. Now, cook the onion in the skillet with the bacon grease…love the flavor!! 4. Now, as that sits in the skillet, mix the sugars, bar-b-que sauce, ketchup, molasses, mustard, chili powder S & P in a bowl. Then TASTE it!! ALWAYS taste things when you are cooking. 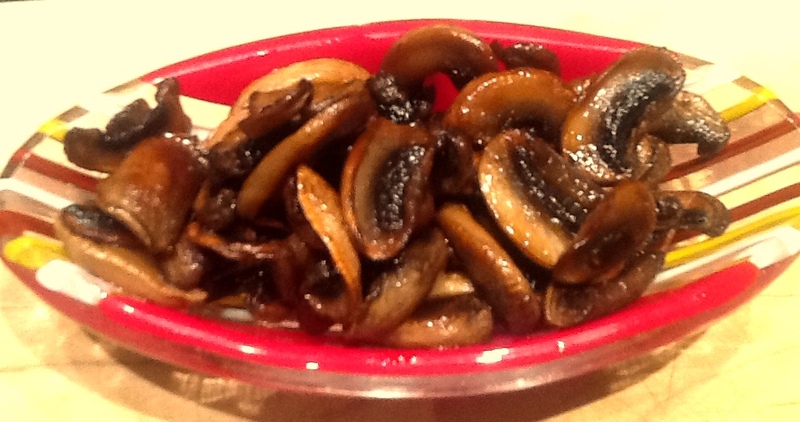 If it is too spicy, then add some more molasses….if it’s not hot enough, add more chili powder, mustard or adobo!!! Stir it real good. 5. 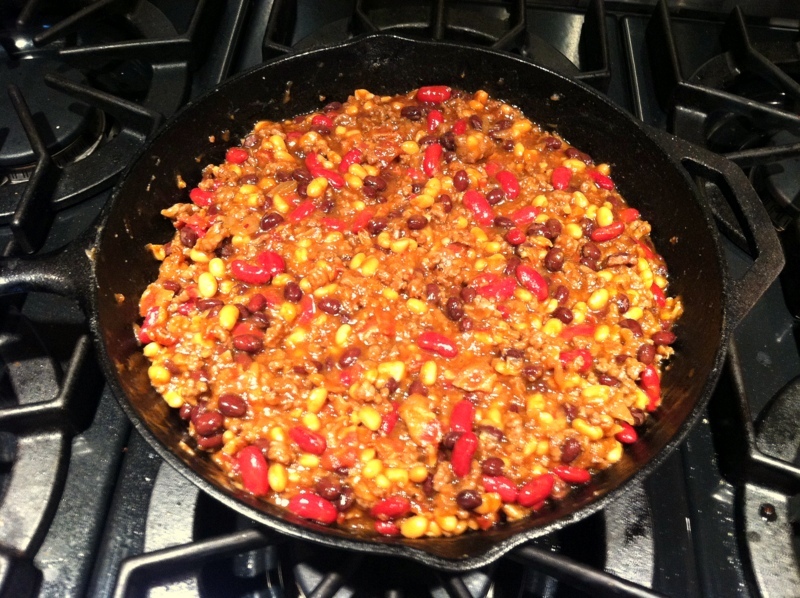 Add the drained beans to the meat mixture sitting in the skillet and mix that up. Also add the chopped bacon. I use my hands to mix it. Then, once that is mixed, add the “sauce” and mix that all up in the skillet. Try not to make a mess here!! 6. Once it is mixed then put it into the preheated oven and cook, uncovered for 35-40 mins or until it is bubbling along the sides. For a LARGE gathering, I triple the recipe! I use 3 large cans of pork & beans (drain them too) and use 4-6 cans of any combination of beans…red, black, pinto, great northern…whatever. Choice is ALL yours! 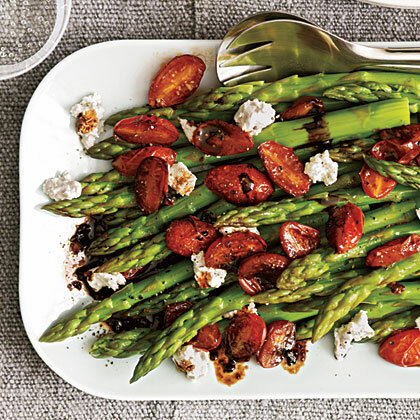 Arrange asparagus on platter then top with tomato mixture, then top with Feta Cheese and serve. This should serve 4 people!! !